Disney Frozen Elsa and Anna Girls Hair and Jewelry Accessory 6 Piece Gift Set $6.27 + FREE Prime Shipping! You are here: Home / Great Deals / Amazon Deals / Disney Frozen Elsa and Anna Girls Hair and Jewelry Accessory 6 Piece Gift Set $6.27 + FREE Prime Shipping! Hurry and snag this adorable Disney Frozen Elsa and Anna Girls Hair and Jewelry Accessory 6 Piece Gift Set for ONLY $6.27! 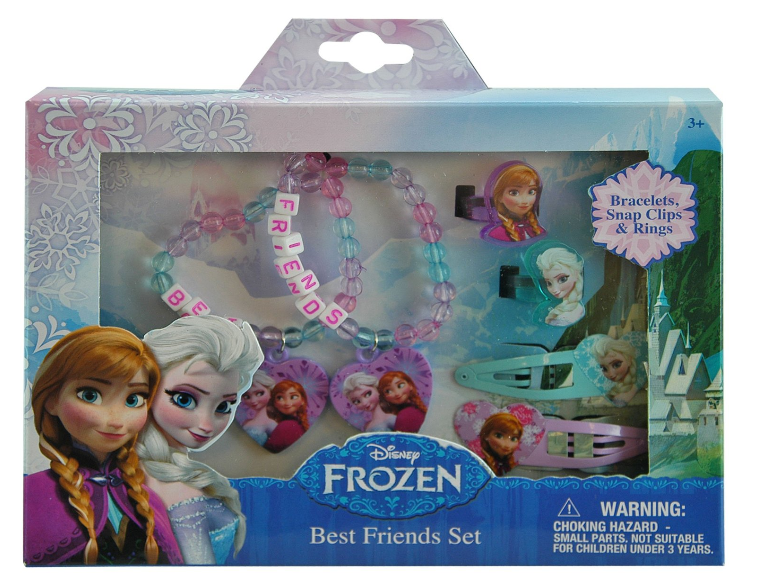 This will arrive after Christmas, but what a great price for this Frozen set! Plus, FREE Shipping is available with Amazon Prime or FREE with orders of $35 or more (sign up for a FREE 1 month trial here)!